Iron Horse Vineyards in Sebastopol, CA was by far my biggest wine related surprise of the year. I mean this in the best possible way for a couple different reasons. I love Champagne, but I tend to stay away from California Sparkling Wines. While there are some standouts, I find many of them too sweet and lacking the tiny, delicate Methode Champenoise bubbles found in many of the best Champagnes. 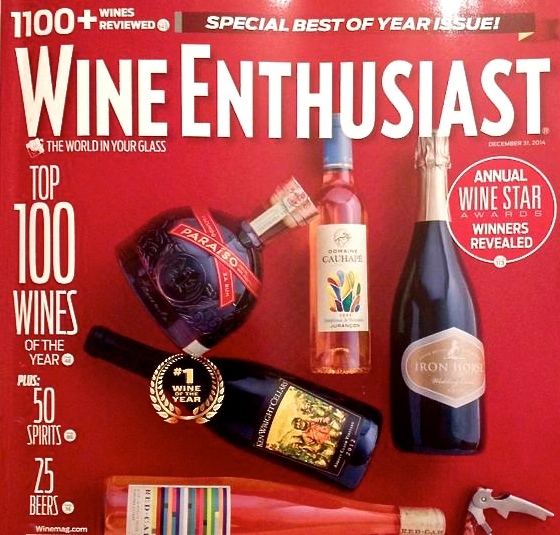 That being said, I received my December issue of Wine Enthusiast which featured their top 100 wine picks of 2014 – The Enthusiast 100 – and noticed a bottle of 2010 Iron Horse Wedding Cuvee on the cover. The Wedding Cuvee was the number ten wine of the year and received a score of 95. I knew I’d be spending New Year’s in the Russian River area and when I realized Iron Horse was a quick drive from where I was staying, I had to check them out. 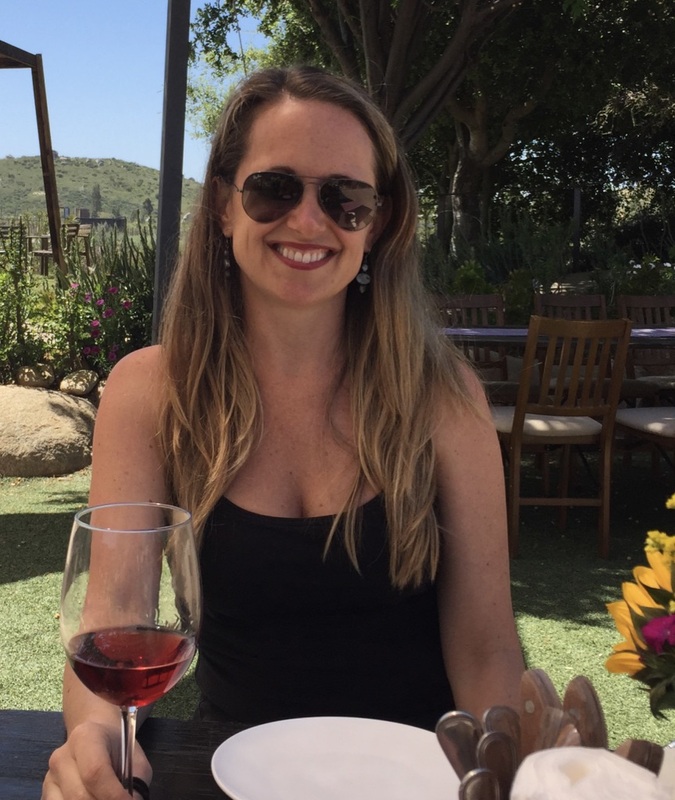 I visited Iron Horse Vineyards without doing any prior research, so based solely on their prestigious reputation and rave reviews, I was expecting a large winery…something a bit fancy with perfectly manicured grounds and a corporate feel. Their sparkling wines have been served at the White House for five consecutive Presidential Administrations starting with Reagan for crying out loud. Instead what I discovered was the complete opposite and I absolutely loved it. As you approach Iron Horse Vineyards, the paved narrow road you’ve been navigating suddenly becomes an even narrower gravel road. The entry to the property is flanked by two weathered stone markers with the recognizable bucking Iron Horse logo on each. We finally arrived at the winery parking lot to find a totally unassuming, rustic set of barn-style buildings perched on a gorgeous piece of land with million dollar views all around. The tasting area at Iron Horse is essentially an outdoor bar crafted out of wood planks propped on wine barrels. The entire vibe was casual and friendly without an ounce of pretension. Just perfect. We were greeted by Lisa who walked us through a tasting of five different Sparkling Wines, all of which were outstanding…beautifully balanced with superfine effervescence. Those who don’t like bubbles have the option of a Chardonnay or Pinot Noir flight as well. We visited Iron Horse on New Year’s Eve and got to watch all the cellar workers choose a bottle to take home to ring in 2015. I got a real sense of family from everyone in the tasting room, which was such a breath of fresh air. We managed to narrow our choices to three bottles (a crisp ’10 Oceans Reserve, a bottle of the now famous Wedding Cuvee, and an ’07 Brut Rose). An interesting but not completely informative blog. In looking at the description of Iron Horse’s viticulture and vinification on their website, it seems quasi-industrial. They irrigate in an area that has more rainfall than Bourgogne, and an irrigation system implies the use of chemical fertilizers and systemic insecticides. They talk about their plantings being clones – OGM? They say nothing about using indigenous yeasts which implies the use of herbicides, nor do they talk about the intrants they use in vinification, which implies that they pour it on. And lets face it, giving lip service to “sustainablility” as they do, is frequently just a camouflage for chemical agriculture as usual. So the fact that their wine tastes good may be more due to the wonders of modern chemistry than where their grapes are planted. Un vin de terroir? Probably not.